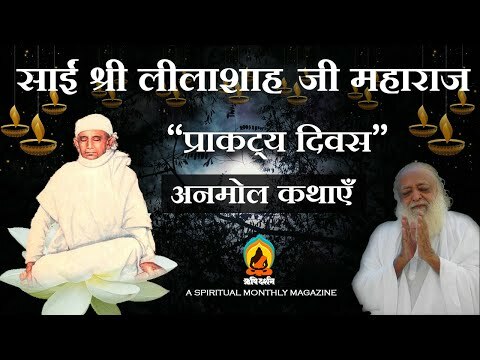 Revered Swami Leelashahji Maharaj was a Self-realized saint established in the Truth-consciousness-Bliss Personified Supreme Self and had guided many sadhakas (aspirants) towards the same . His life is a source of divine inspiration for all living beings on earth . His each and every action was directed towards the welfare of the entire creation. His mere ‘darshan’ would please the minds, the clouds of disappointment would get dispersed , and the dejected souls get charged with zeal, and with the perplexities of the confused ones being solved , a new life would possess them. His complete life was in a way a confluence of the yoga of Karma (action) , jnana (knowledge) , and Bhakti (devotion) . He was an accomplished yogi having tremendous powers. Many Incidences occurred knowingly or unknowingly in His life suggestive of his yogic powers , like halting the train , moving a neem tree across the ground , giving eyesight to blind , and child to the barren etc. Once saint Leelaram (former name) was passing through a village . A poor woman was crying over her dead son. She had kept the dead body of her child a little far from her on the road . Seeing a dead child sleeping on road , suddenly the following words came out of His mouth : “Child! Get Up"
Within a short time , the villagers came to know of the might of this Great Man. Having known this , He at once left the villages and went elsewhere . And surrender your mind to God With a pure intellect become established in the truth. जीवन्मुक्त विचरते हैं ये दिल है शहंशाह की।। सिंध देश के..